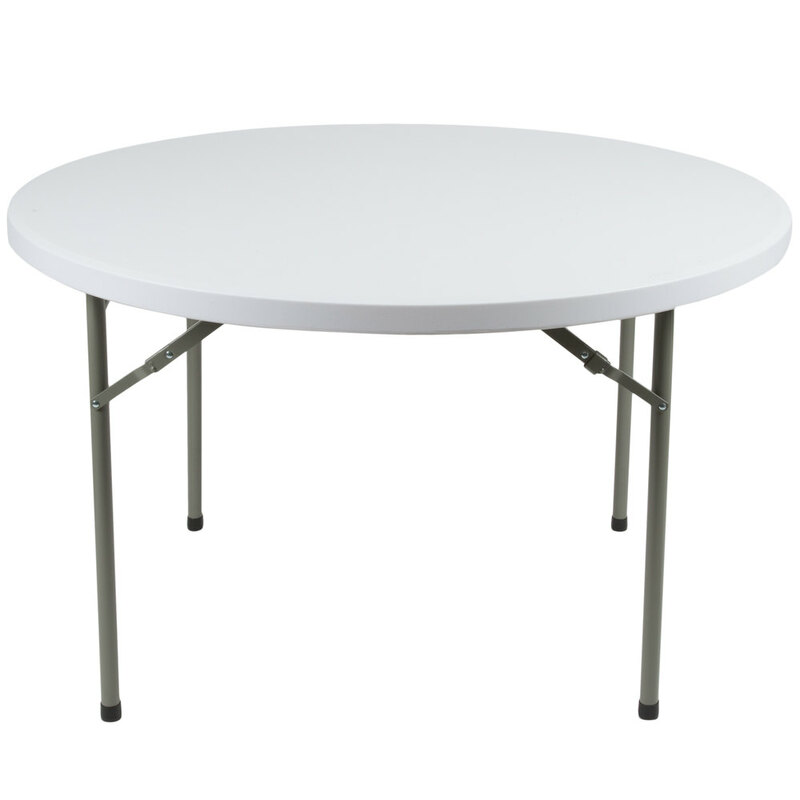 Our folding tables are made of high-impact polyethylene, allowing for both indoors and outdoors use. Six available to rent. Diameter is 30 inches x 48 inches tall (bar height). Use our linens, or yours. 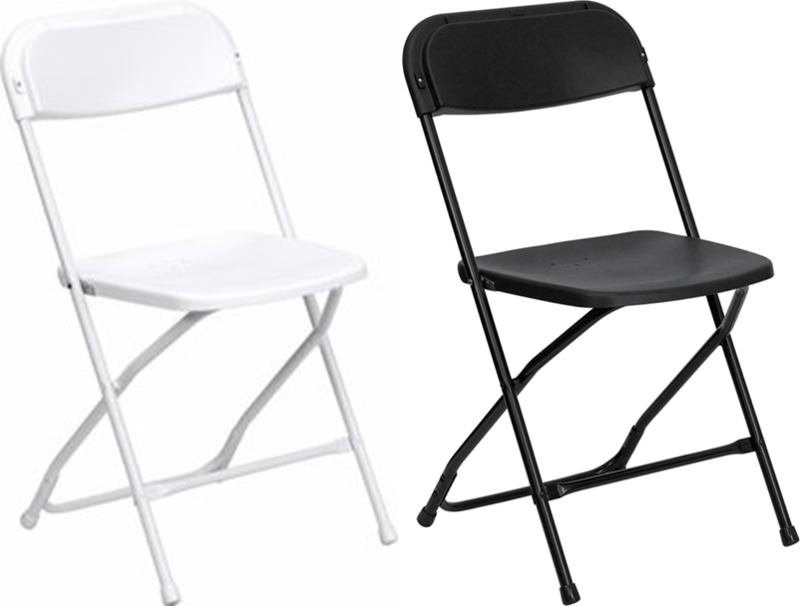 Premium white or black plastic folding chairs for both indoor and outdoor use. 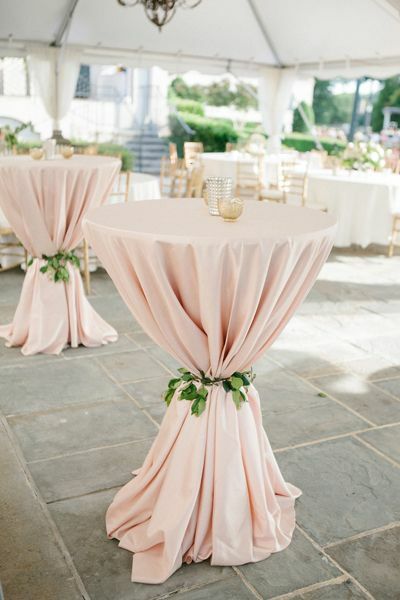 There are so many sash option ideas on Pinterest. From shabby-chic to burlap and vintage lace, we can custom create something to fit your budget. Browse our Pinterest Gallery of Ideas. 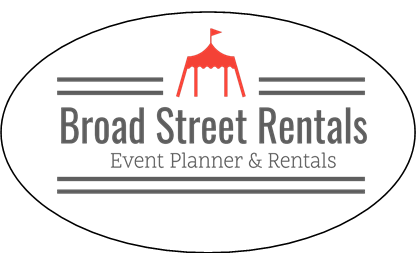 We can make your dream a reality with a customized theme for your next event. Need a themed event birthday party? We work with our clients to create a custom backdrop for themed birthday parties that will fit your budget. From balloons to props, we are your go-to event company.